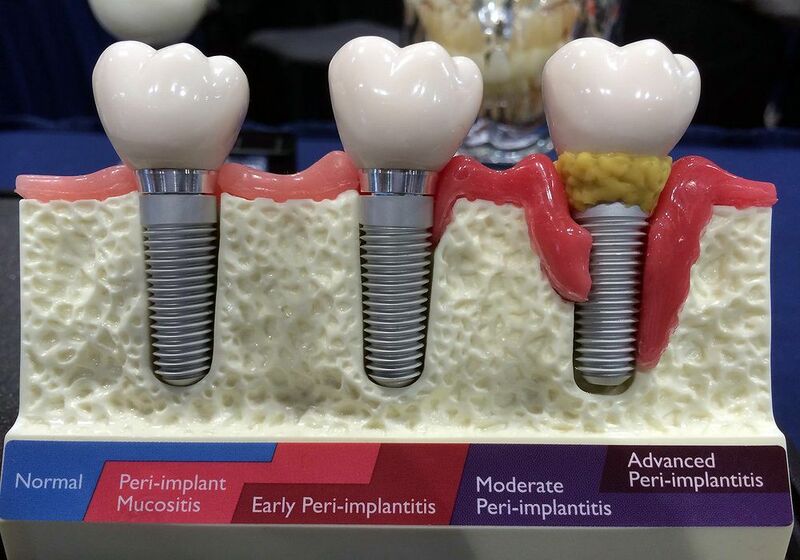 Generally we refer infection to a dental implant as peri implantitis, whether it is an inflammation or infection, generally there is peri implantitis around the dental implant. So we divide it into ailing, failing and failed implants, when we talk about peri implantitis. So ailing implant is when the infection has just occurred but it is really not affected the implant. The function of the implant is not affected. So implant is in working condition. So at that time, we can handle this ailing situation of peri implantitis, whereas failing implant is where the infection is going to the next level that is when things will get a little more serious.